If you do not have all of your teeth, it can be uncomfortable and even painful to consume food. This is why it is important to replace missing teeth. The individual can look older in their face due to missing teeth, as this can cause one’s mouth to shift. If implants are placed in the mouth, they will last for the person’s lifetime. Prior to the creation of dental implant technology, there were almost no substitutes when it came to a missing tooth. The most common recommendations were to get removable dentures, or to have fixed bridges placed in the mouth. The bridges were a bit cumbersome, as it meant you would have to sacrifice the teeth next to the ones that were missing. Today, implant dentistry has made it possible to restore one’s missing teeth without it affecting the person’s teeth or dental health in general. Implants are composed of metal and porcelain. They are designed to look just like a natural tooth. The part that acts as a root is made of titanium, and then there is the tooth-colored crown that goes above the implant. No one should be able to tell that it is a replacement. You can receive implants to help with anchoring your lower dentures that do not stay in place when your mouth is moving. Implants are an ideal replacement that give you a more natural smile. With a dental implant, you basically have an artificial root in place. Dental implants usually are made from titanium, which is a metal that is powerful and readily accepted by the body. The traditional solutions of using dentures and bridges have been replaced over time by these implants. Once the individual’s jawbone heals, permanent teeth may be placed on top of it. 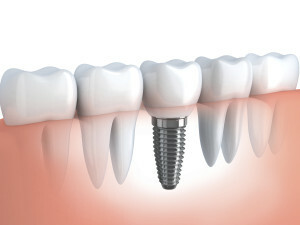 A dental implant acts as a replacement for the missing tooth’s root. This is because it actually is infused into the jawbone. Then, a prosthetic tooth is secured onto the implant, which offers a more lasting solution. Comfort – Implants are more secure, so that there will be virtually no budging or movement. This is much different than having dentures. The disadvantages of having dentures are a thing of the past for those who are able to get dental implants. Health and Beauty – Side effects that are commonly a part of having a missing tooth include bone shrinking and bone loss. When you have someone conduct implant dentistry, you can ensure that this does not occur and that your face maintains its a natural shape. Confidence – With dental implants, you are sure to have greater self-confidence. You will not be ashamed of the way your teeth look, and you do not have to be concerned about avoiding food that would cause discomfort. It is incredibly important that you visit a dentist on a regular basis. When you have detailed cleanings and examinations, you stand a better chance at having a healthy mouth and teeth. Though it is necessary to brush and floss daily, the American Dental Association does suggest that you see your dentist once every six months for optimal dental health benefits. The next step entails that your teeth be cleaned using various tools. They will help to remove buildup from your teeth. The dentist then will floss your teeth with a polishing compound. If you end up feeling anxious throughout the cleaning, it is important to speak up and tell your dentist. This step should not be a painful one. There are some options available that will ensure your greatest level of comfort possible. If your dentist finds gum disease or tooth decay, he or she will advise you how you can change your dental hygiene habits. 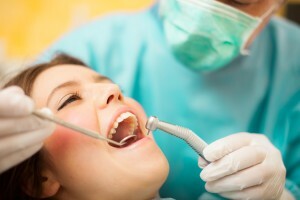 If it is a severe case, you may be offered some type of dental treatment, such as antibiotics. With the use of up-to-date treatment techniques and technology, we can make it so that you will have various safe and convenient treatment options available to you. One such possibility, is that of high-end digital X-ray technology. There are many benefits to digital X-rays. For one, they offer several imaging options in order to save time. Also, they keep radiation exposure levels down and offer extremely clear dental photos. Our main focus is to keep you feeling comfortable throughout your dental experience. We are willing and able to answer all of the questions that you have during your next appointment. Periodontal is a word that is meant to define tissue surrounding the teeth. Periodontists perform several roles, such as providing patients with surgery and treatments for issues like gum disease. They identify the problem, including where the plaque has formed. Periodontal problems usually are found after they have existed for a while. If an individual receives regular checkups and cleanings, he or she will reduce the risk of developing gum diseases like periodontitis and gingivitis. Fortunately, treatments exist for every type of gum disease. By following appropriate preventative steps and keeping up with your oral hygiene, you will not have to deal with the negative effects of gum disease. Reach out to our office if you would like to have a periodontal evaluation. Periodontal disease is one that is caused by a bacterial infection. It presents as an inflammatory disease that is quite severe in nature. This is because the person’s body is attempting to fight against and destroy the harmful bacteria. If this is not cleared up in a fast manner, it can start to harm the person’s gum tissues. An epithelial lining that becomes ulcerated, containing bacterial by-products and granulation tissue. How can we properly heal the pocket? A filling is placed on a damaged tooth to restore and replace the tooth structure that has been damaged due to fracture or decay. A material is used for this purpose. We guarantee replacement of worn-out or old metal/amalgam fillings that have traces of mercury, in favor of white composite fillings that brighten your smile and improve your teeth for a more natural appearance and feel. With the help of modern techniques and technology, you do not have to deal with the embarrassment of having unattractive and unhealthy metal margins or mercury/silver fillings. Porcelain materials are excellent for designing high quality fillings. Bondings allow you to brighten up your smile and strengthen how your teeth look. With bonding, a plastic material is put onto a tooth that is already in place. The composite bonding will not do any harm to your teeth during this process, which happens with crowns and veneers. The composite bonds are not as extensive and durable as crowns and veneers. For this reason, there is a chance that they will need to be re-touched after a while has passed. It is crucial to learn how properly to clean and care for composite bonds. In order to make sure that your bonding lasts a long time, it is recommended that you floss and brush them on a daily basis. Be careful when it comes to things that may stain the composites, such as tea, coffee, candy, and tobacco. Teeth tend to get darker as time passes. This can be caused by beverages like tea, soda and coffee, as well as by food. Some other common causes are illness, poor oral hygiene, childhood medication, and the use of tobacco. It is a top goal of our dental team to give every patient different options to whiten their smile. As of late, tooth whitening has gained in popularity. For this reason, there have been quick over-the-counter solutions designed to help with this issue. They are not as effective, as they can work quite slowly (and in some cases, not at all). We are trained professionals that use methods that have been improved within the industry. We work hard to adapt to each individual patient’s needs. A rather popular method is to use a gentle solution that is gel-activated and composed of hydrogen peroxide. Your smile will be whiter within only one visit when you have such a treatment. Give us a call right away to receive a whitening evaluation. With a white, bright smile you are certain to have an improved appearance and greater confidence. One of the first things to be suggested usually is in-office teeth whitening. During this treatment, a whitening laser or lamp is used to make the whitening gel more effective. This is done by accelerating the peroxide. The Zoom In-Office Whitening System is thought to be one of the quickest means of whitening your teeth in a significant manner. It only takes about an hour to see great results. The light activates the gel, and this gel gently breaks down the stains that are on your teeth. It is safe to have Zoom Whitening conducted on your teeth. That being said, it is important to be under the supervision of an experienced dentist. Children who are under 13 years old and women who are pregnant are advised not to receive this procedure. 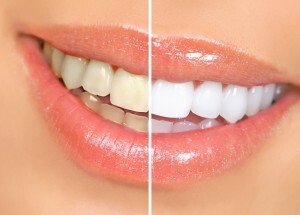 One method of whitening teeth at home is tray bleaching. This requires a special gel and tray which can only be obtained through your dentist. Whitening gel is placed in trays that have been custom fit to the patient’s teeth, and these are meant to fit perfectly every time. The gel is excellent for breaking down stains and whitening teeth. It whitens all of your natural teeth while keeping you comfortable throughout the process. You can see some results as early as 3-5 days from when you start, though it can take between 10-14 days. You can find over-the-counter teeth whiteners that somewhat work. Paint-on teeth whiteners are used frequently by individuals who want to have a whiter smile. They are less effective than professional options, but they are less expensive. The package contains a gel that is placed on the teeth with a brush. The gel hardens to coat the person’s teeth, and then it dissolves. It is crucial to speak to a dental professional before using paint-on whiteners. Whitening strips have become more popular recently. They are plastic strips that contain hydrogen peroxide, meant to bleach the teeth. By placing strips on your teeth and pushing them in, you will be able to activate the agent and make sure it is in contact with every tooth. It is recommended that they are worn twice a day for about 30 minutes each time. The length of the treatment results varies. There also are mouthwashes and toothpastes that have whitening capabilities. It should be noted that these products affect the surface stains alone. They are not effective at lightening the tooth’s shade and color. Since they only entail the use of aligners rather than braces, Invisalign is an attractive choice for many individuals. This is because the aligners may be removed and put back on with ease. Another reason is that they are nearly invisible. You can have your teeth straightened without having anyone even realize it. Also, you can drink and eat whatever you would like. They allow you to floss and brush the same way that you usually do. You can avoid getting mouth abrasions that come along with having brackets, wires and metal in your mouth. A large number of our patients who were wary of traditional braces have opted to use Invisalign. As a result, they have improved their teeth a great deal. Custom-made aligners that are removable and clear. Does not require the use of wires or brackets. They straighten your teeth without having to wear braces, and are virtually invisible. The patient will use about 18-30 aligners – each set should be worn over a period of a few weeks. Visit your doctor once every 2 months or so. The entire time for treatment may last between 6 to 15 months. Remove them with ease when you are about to drink or eat. The movement of your teeth will be gradual, with visible movement every week. In past years, when someone had a tooth with a diseased nerve, it would be totally lost. Today, it is now possible to save such a tooth. This is through the existence of a procedure known as a root canal treatment. It only takes about 1 to 3 visits to the dentist to have a root canal done. You will be saving your tooth and smile when you have a root canal treatment. What function does a root canal serve? The nerve of a tooth is not completely vital after the tooth has come out of the gums. It does help the person to feel if something is cold or hot. Someone who has cavities or cracks in their teeth may have bacteria enter the pulp tissue and develop an infection in the tooth. This can lead to an abscess, and then to some serious swelling, injury to your jawbone, and negative effects on your health in general. If the patient does not get treatment right away, the tooth may have to be taken out. 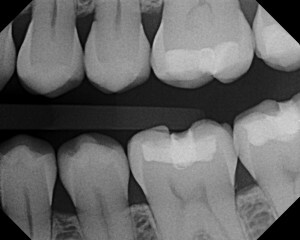 What signs indicate that the patient may need a root canal? It does not always have to be painful to receive a root canal treatment. If you have some pain when you chew or when you encounter something that is really cold or hot, as well as sensitivity and swelling in your gums, darkening of your teeth and toothaches, you just may need to have a root canal. It is often necessary to have root canals take between one to three visits to be complete. First, affected tissue must be removed from the person’s mouth. Then, his or her tooth will be cleaned and closed shut. The dentist then uses composite material to create a filling. The dentist may recommend a crown in order to harden the tooth and prevent it from breaking. By having checkups and making sure that you brush and floss your teeth, the treated tooth certainly will last. When you have a cavity, that means that your tooth’s enamel (which is a tissue that is within teeth) is decaying. The decay can create a deep hole in your tooth and cause damage to its inherent structure. If a normal filling will not properly treat the tooth, it is crucial to conduct a root canal to help protect and preserve the tooth. This is a preferable alternative to how they were treated in the past, with the tooth merely being pulled out. It is necessary for every patient to be given anesthesia. The dead and infected tissue are taken out. The canals of cracks of the tooth are cleaned thoroughly. The canals are reshaped using various dental tools. A temporary covering is placed over the opening. Immediately visit your dentist to have your tooth restored. In the event of an emergency dental situation, it is crucial that you give us a call right away. If you require quick attention and we are closed, you are welcome to reach out to the emergency line. A staff member should be available to give you assistance. If you cannot reach anyone at the office, dial 911. 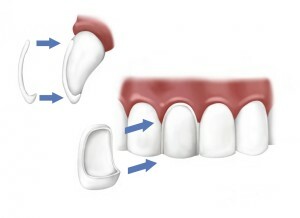 Veneers are placed onto your front teeth. They are nearly see-through and are quite thin. They are bonded to your teeth permanently, and are crafted out of porcelain. Veneers are considered to be a great alternative to the various more painful procedures that help to improve a patient’s smile. Veneers are a rather simple solution that will not affect your teeth negatively. It should only take two office visits for results that you can easily see. Contact our office if you have more questions about veneers. Crowns make it possible to improve the shape of your teeth, as well as strengthen them. They treat teeth that are worn and broken, and those that have decayed. Crowns go on the top of the patient’s tooth and cover the space that is above your gum line and tooth. The crown becomes the roof of the tooth. Normally, a crown will be designed out of porcelain, since it is a strong material that highly resembles a natural tooth. If someone’s tooth is not strong enough for a filling, they will require a crown. Fillings are within your mouth, while crowns are meant to be away from your mouth. Your tooth’s impression is used to create the crown, with bite and jaw movements being taken into consideration. Every crown is custom designed for the best jaw and mouth movements. Bridges are another option for replacing missing teeth. They also help with keeping the natural shape of your face and a more comfortable bite. Our denture services are geared towards providing each patient with the maximum level of comfort. 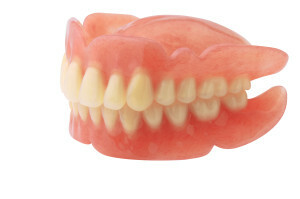 Our dentures are made to feel and look natural. Dentures are replacement teeth that can be removed with ease. They are designed to look natural. There are two kinds of dentures – full and partial. People who do not have any or most of their teeth should be fitted with full dentures. They are placed in the mouth after gum tissue that surrounds the missing teeth has completely healed, a process which may take several months. They are provided right after the teeth have been removed. Adjustments may be needed in the first two months or so. With partial dentures, the patient has a metal frame connected to his or her teeth in the spot where the permanent teeth should be. The dentures are connected to this frame. They are a removable alternative to bridges. How can I know if I will benefit from dentures? Dentures are not a good choice for everyone. If you have an interest in getting dentures and want to know more about them, you should schedule an appointment with us. We will happily answer questions and help to relieve your concerns. We can help you to decide on the best plan of action. When someone has dentures, it is crucial to check on them on a daily basis. This ensures that they remain in good condition and that no bacteria develops around them. When you put in your dentures, it is a good idea to stand over a sink or a towel, since they may drop. It is possible to develop tartar and plaque around your dentures. This is why it is important to brush them daily. Use a brush that is soft, and with gentle scrubbing along the top of the dentures, you can clean them without harming the plastic. Be sure to rinse your dentures after meals. They can be cleaned with dish or light hand soap. You can know that it is safe to use on dentures if you see an American Dental Association (ADA) seal of approval on the product label. Dentures must be kept wet when you are not wearing them. This is due to the fact that they can break, crack, or lose shape. Certain dentures should be placed in a special type of solution. Ask your dentist which type is the best for your particular dentures. A soft brush is recommended for cleaning your tongue and gums on a daily basis. In the event that your dentures break, reach out to us for an appointment right away. If they are not fixed quickly and in a proper manner, your gums and mouth in general can become irritated. Schedule dental check-ups every six months to keep a healthy smile. WE WANT TO SEE YOUR BEST SMILE!